Edited by dragonsfire, 07 April 2019 - 09:58 AM. Seafood curry was just kinda....ok....to me until i tried Indonesian styles like laksa. Thai green curry didnt quite do it for me. Still not really a fan of the asam style (sour) laksa. Its ok but i adore the regular. Thats rather odd because i love tom yum and tom kha. Im saving some nice cod until after i can get to the market. I want to see if they got the Por Kwan pastes and im out of fresh noodles. I'd love a couple bowls of that for sure. This looks killer from scratch. Most Asian markets should have all this stuff. AND the tofu puffs are a must....its like a little tofu crouton made just for curry soups. Edited by ShowMeDaSauce, 07 April 2019 - 10:57 AM. 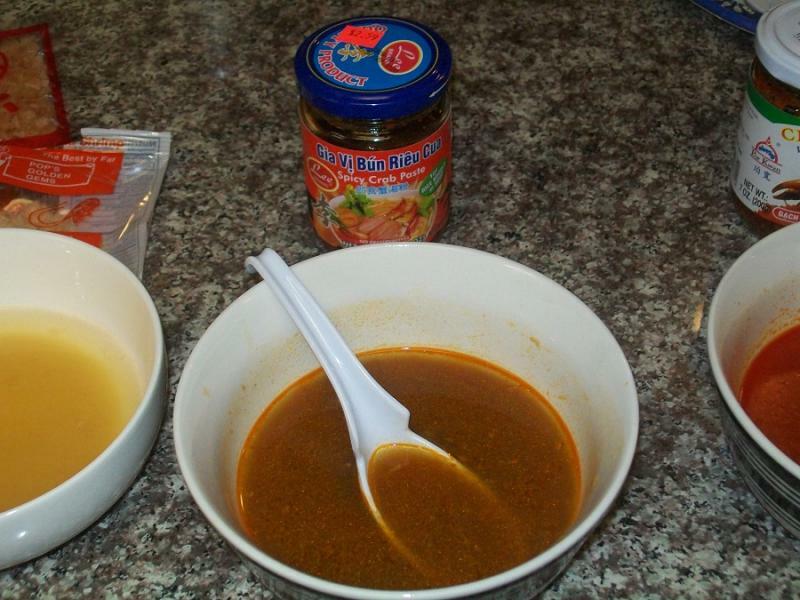 She didn't add much laksa to her laksa dish and her process of the seafood cooking is bunk. 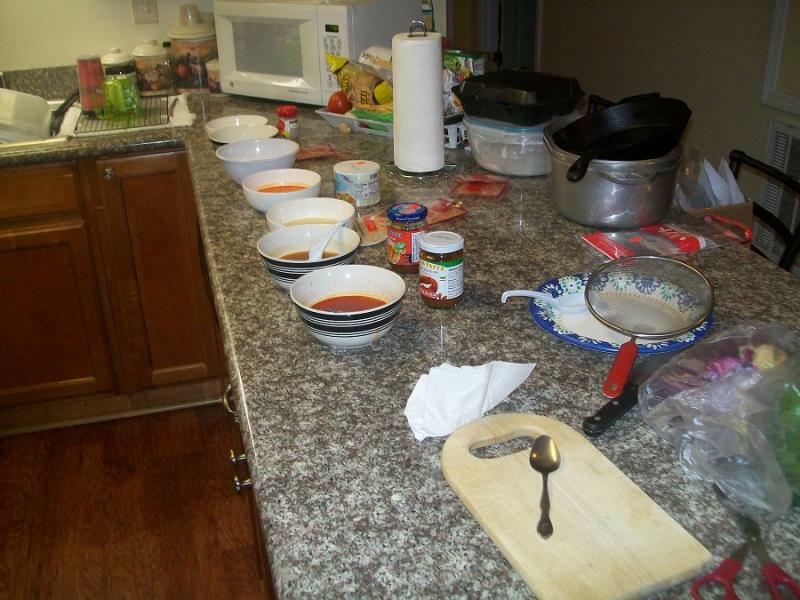 Who wants to cook a bowl at a time unless it's just one or two people eating and even then you won't get the flavor of adding it all and letting the whole pot get that flavor. That would work great if you used a hot pot. She didn't even strain her broth,what Asian does that? All of the seafood at once will make all the difference in flavor of that gravy/stock/broth. Follow my recipe and don't add the curry or Marsala, instead add laksa paste and you'll be good. I also did add ground up dried shrimp to mine but it's good without it so I left it out thinking it might be a problem to find. 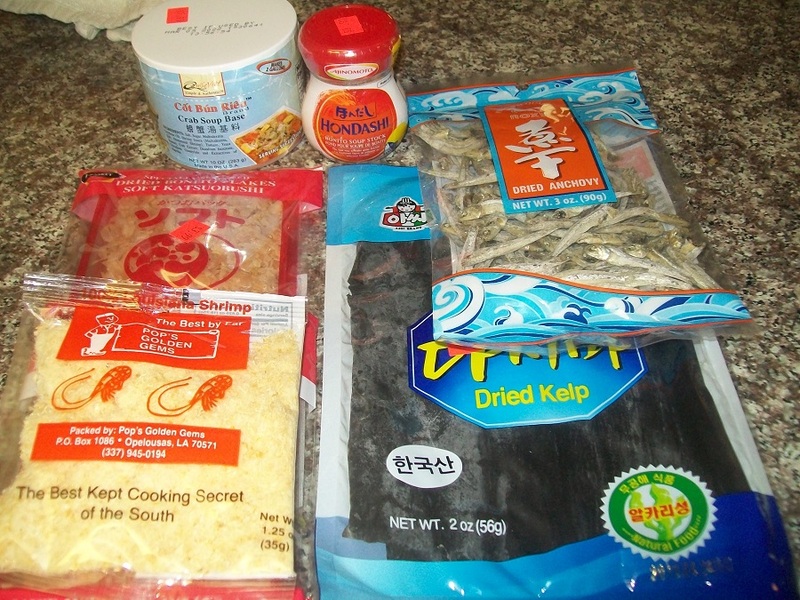 We have it here locally and I've eaten dried shrimp all my life as a snack or just added to dishes for a shrimp taste. My grandfather used to dry them on a piece of tin and then filled up half a crawfish sack and beat it against the cinder block shed to knock the shells off. We grew up trawling so seafood was as common as any other meat. I do need to pick up some fried tofu, it looks and sounds like a good idea to soak up that killer broth. I think you should try this recipe once and then make changes, the curry is light and that makes a big difference compared to many of the videos and recipes out there. I'm still on the hunt to make a good seafood broth with store bought products. 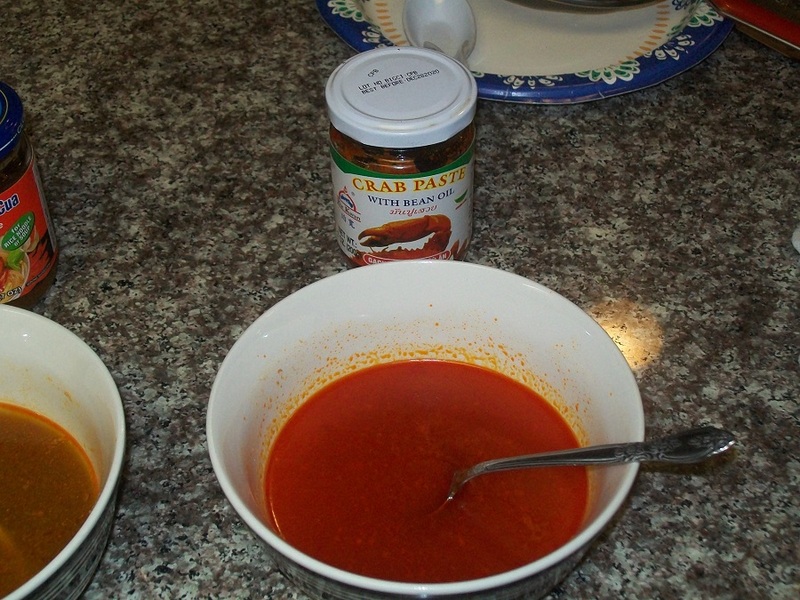 Friday I played with all types of products to make a broth and to my surprise they all taste relatively the same except the spicy crab paste is salty. I make my shrimp broth every time I buy shrimp to stock the freezer and like it condensed so my judgement is based on that. All of these were made with 1 cup of boiling water and a tsp of the product so it's not a real scientific way to judge them but close enough. I think they all have a place in the kitchen and can be swapped out for each other. Here's what I bought to try. One of my favorite seafood stocks is boiled shrimp heads and salt. I buy the whole head on fresh shrimp from the market, cut the heads off, then simmer those heads in water with salt for a solid hour or so. I strain off the broth, and use it for any kind of seafood soups. Simple, but with a very deep shrimp flavor. Same thing i do too. Always buy some with heads on. Save all shells if peeling raw shrimp. Edited by ShowMeDaSauce, 08 April 2019 - 11:41 AM. That's what I do too, it's even better with fresh crab parts in it. 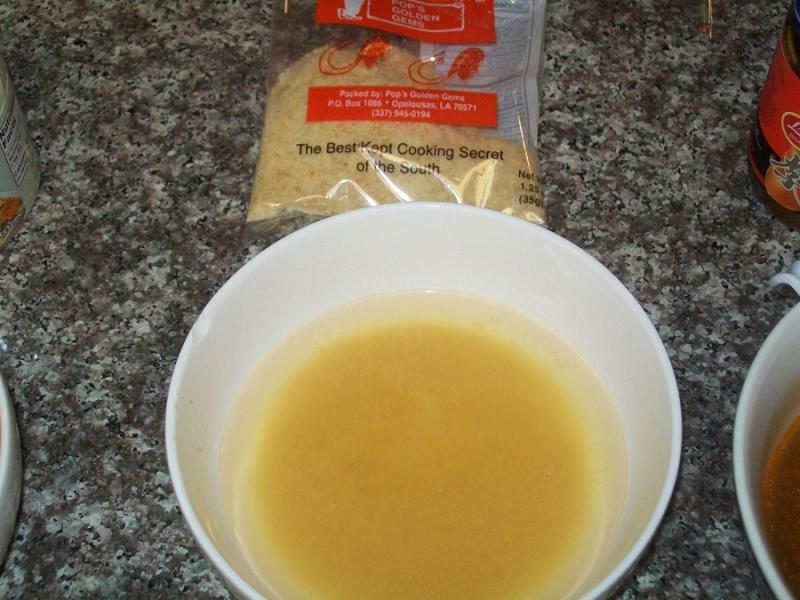 While researching about broths I came across this video where they used a whole jar of the crab paste in a Bun Rieu dish. I think it's one I'll have to try, it looks delicious. Then I bought stuff to make Miso soup and all the directions say NOT to boil the seaweed but Maangchi boils it for 40 minutes so what's the deal? Kombu for dashi really should not be boiled. 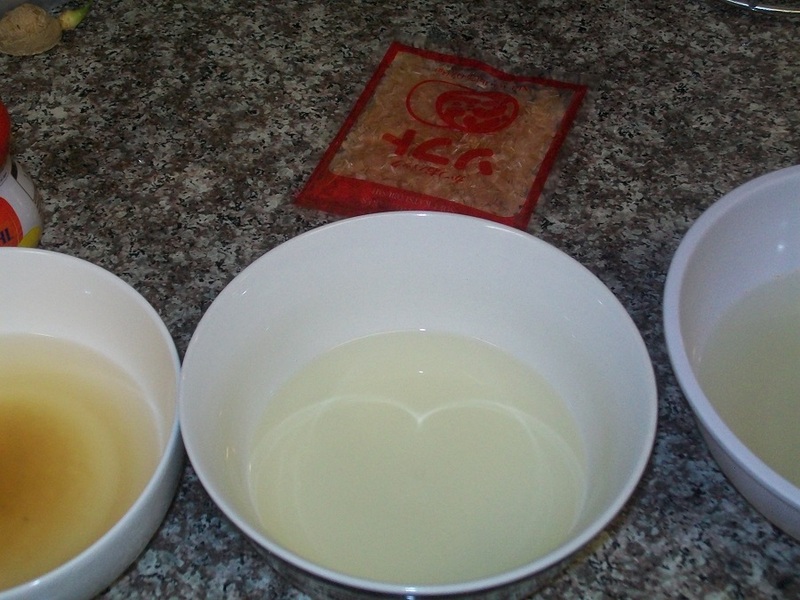 Soak the kombu for 12-24 hours in cold water. Bring the pot almost upto a boil and kill the heat. 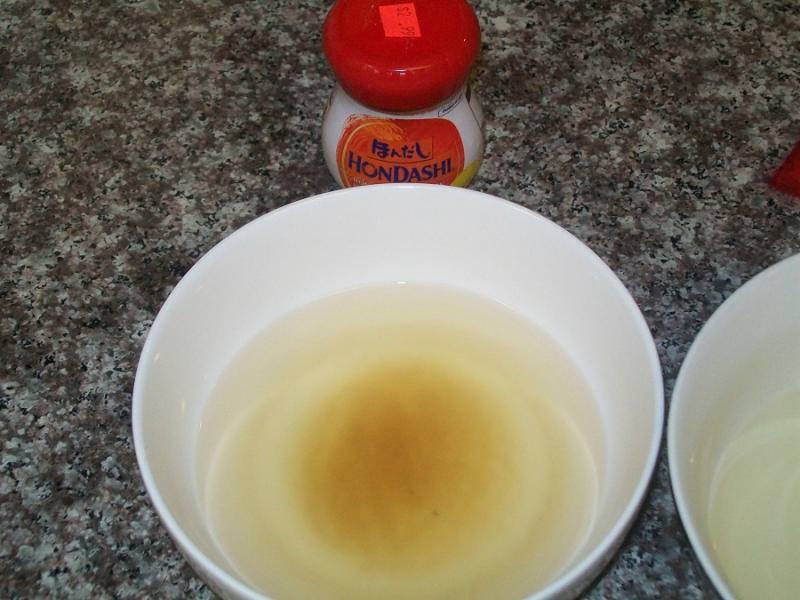 Remove the kombu. After that you can reheat with some dried sardines, bonito flakes ect. When using the "tea bags" i bring water to a boil. Kill the heat. Wait a minute and add the dashi bag. Cover and let it steep. Works fine for stuff like Korean Jjaggae. Miso soup is more delicate. Edited by ShowMeDaSauce, 08 April 2019 - 12:04 PM. 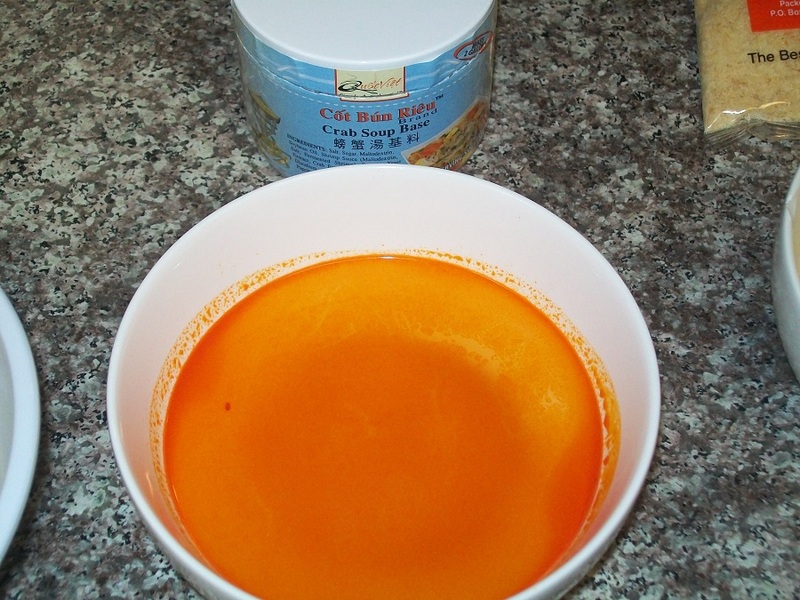 Watching that Bun Rieu video gave me an idea....Add some of the oil from the crab paste to some LaoGanMa or homemade hot oil!!!!! I think im gunna need to see if i can make that crab/shrimp/paste mixture into some kind of balls or cakes for other soups too. YES, those crab/shrimp/pork balls look like a good option for many soups/dishes. Hell, it would make some killer eggrolls too. Also that tip on buying crab paste with the higher percentage in it, both of the ones I bought are low compared to her 60% coming in at 22 & 32%. Pantai brand is pretty common at the better Asian markets around here. Run the pork and shrimp through a food processor first. Turn it into a paste before adding all the other stuff. Could even add some fish to the mix. Classic Chinese fish balls are just fish turned into a "paste" like she did with the shrimp and then steamed/boiled. Commercial products might add things like tapioca or other starch for a binder.